This article appeared on The Chronicle of Higher Education website. A version of this article appeared in The Chronicle of Higher Education June 23, 2017 issue. The future of Ohio Wesleyan University was up for a vote this past March, and Rock F. Jones wasn’t sure which way it was going to go. As president, he had supported a plan to boost struggling enrollment at the small private college by adding a raft of new majors, including business administration, data analytics, and nutrition. He knew some faculty members felt that adding such career-oriented programs would betray the college’s liberal-arts tradition. If enough of them voted against the new majors, they would go nowhere. Higher education’s tradition of shared governance makes leaders and faculty members partners in such endeavors, but it can also put them at odds, with each side feeling unheard and frustrated. For administrators seeking faculty support for a major change, there are no simple tricks; rather, it takes long-term relationship building and canny strategy, say veterans of the process. Administrators must also understand that not everyone will get on board, and know how to move on anyway. Building consensus requires finesse, strategy, and a little psychology. Many industries and organizations are in tumult these days, but higher education is especially sluggish in responding to continuing disruption, according to Chris McGoff, co-founder of the Clearing, a management-consulting company that sometimes works with colleges. “The environmental dynamics pounding on these universities are off the scale,” he says, but many colleges find it difficult to convince faculty members that financial and other pressures make change necessary. “There are these huge brick walls and these marble statues, and there are so many things around them saying, ‘I’m safe, nothing can get to me in here,’” he says. 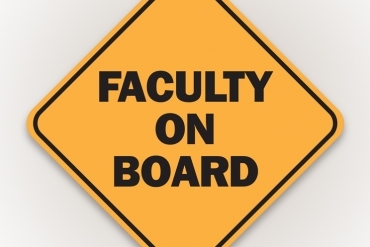 The pressures — and the pressure to respond — have only worsened the relationship between leaders and faculty members. “Everybody is angrier and more frustrated than they were 20 years ago,” says David D. Perlmutter, dean of the College of Media and Communication at Texas Tech University (and a regular contributor to The Chronicle).Presidents armed with board mandates and plans to reshape their institutions sometimes hit a wall of internal resistance. “A lot of administrators feel like some faculty have become the Party of No,” he says: “They just oppose on principle.” But watching grand visions collapse in recent years has made harried professors more skeptical about leaders’ motives. They wonder: “Is this actually a solution that you’re applying to a real problem, or are you following some sort of checklist for your administration career?” Mr. Perlmutter says. At Ohio Wesleyan, the need to consider change was clear. The university’s enrollment has risen and fallen unpredictably in recent years. Freshman enrollment climbed from 464 in the fall of 2015 to 514 last fall, but this fall’s freshman class is still well short of 500. In 2011, a faculty majority voted to introduce “The OWU Connection,” an effort that combined interdisciplinary studies with experiential learning. While many faculty members remain enthusiastic about its academic promise, the program has failed to stabilize enrollment. If campus leaders don’t want faculty members to feel manipulated, they should approach them as collaborators — not as “yes” votes in waiting. Perhaps the most critical condition for successful — and enthusiastic — collaboration is establishing that a problem exists to be solved. Until about four years ago, students at Texas Tech left Lubbock each summer for their homes in Dallas or Houston, where they socked away credit hours by taking community-college courses, according to Mr. Perlmutter. Texas Tech lost out on those tuition dollars and had no quality control over the courses. “Faculty recognized that it was a problem, so there wasn’t even a need to point out there was a problem,” he says. If faculty understand that there’s a problem to be solved, they can help solve it — and it probably won’t be solved without them. Mr. Perlmutter suggested to his faculty colleagues in the College of Media and Communication that online classes might be a way to retain students over the summer, and then left it to professors to decide whether it was feasible. The college now enrolls more than 1,500 students online. Such initiatives have to be faculty-driven because “they are the implementers,” he says. Zackariah Long (right) says it was the opinions of his faculty colleagues at Ohio Wesleyan that persuaded him to support a new initiative. And there is no better faculty evangelist for a new idea than a fellow faculty member. Mr. Jones, Ohio Wesleyan’s president, says he learned early on that the small group of faculty members he meets with weekly as part of the Committee on University Governance provides “an important part of the reporting mechanism to the faculty.” Once the idea of adding majors was entertained and discussed in an open summit meeting, professors were invited to ponder and devise the programs, which they then presented to their colleagues. A mandate for new programs from Mr. Jones would never have been accepted by the faculty, says Chris Wolverton, a professor of botany and microbiology and chair of the governance committee. The administration introduced data and ideas at key junctures and provided resources, but otherwise left the question of new majors up to professors, he says. At Ohio Wesleyan, the president says he valued the “thoughtful opposition” raised during the proceedings but adds: “Often there’s a silent majority that hasn’t been heard.” The faculty eventually voted overwhelmingly to support the new majors, which will involve new faculty hires and will start enrolling students this fall.